sous salt in edible silicon valley! 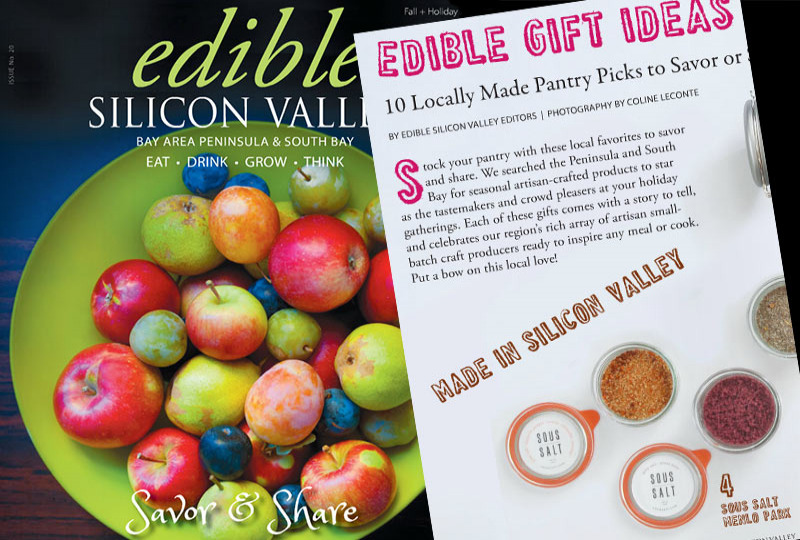 Thrilled to have been selected by Edible Silicon Valley for their Top 10 Gift Picks in the Fall/Holiday issue. We have thoroughly enjoyed this year and the excitement our salts evoke in home cooks and foodies. With our recipes available on our web site we walk through even the most uncomfortable cooks in the kitchen. Seasoned home cooks can morph any recipe to fit the Sous Salt they choose. Thanks to everyone that has loved our product and for those of you that haven’t tried it yet….the Holiday season is the perfect opportunity to make your family meals special. This dip lends itself to being incredibly versatile and welcoming to your own unique additions. 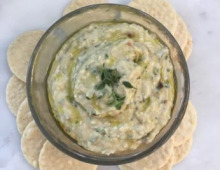 In this particular recipe I used a teaspoon of a good olive tapenade but you could chop up some artichoke hearts. More than anything in the world I love the buttery crunch of a wonderful Crab Cake. 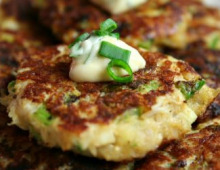 Fancying the traditional style of crab cake as opposed to the overloaded ingredient one here is our favorite family recipe. 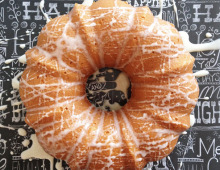 Want a moist, festive bundt cake for the Christmas Holiday? We had this eggnog cake over the weekend and it was so good we ate the first one in one night and had to make another to snack on over the weekend.